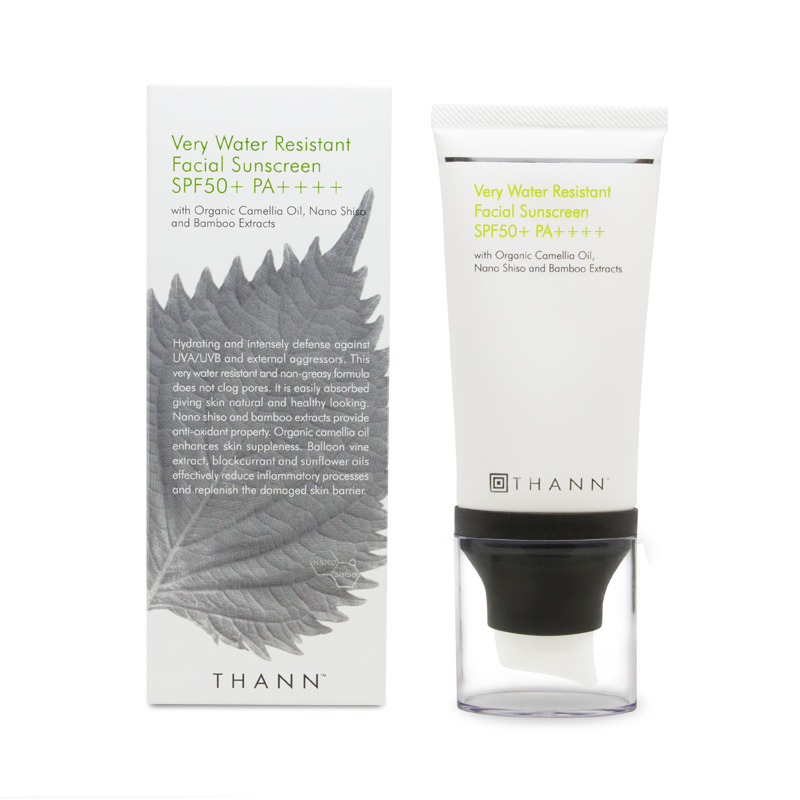 Hydrating and intensely defense against UVA/UVB and external aggressors. This very water resistant and non-greasy formula does not clog pores. It is easily absorbed giving skin natural and healthy looking. Nano shiso and bamboo extracts provide anti-oxidant property. Organic camellia oil enhances skin suppleness. Balloon vine extract, blackcurrant and sunflower oils effectively reduce inflammatory processes and replenish the damaged skin barrier. Apply evenly on the face prior to sun exposure. Reapply after 80 minutes of swimming or perspiration or after towel drying.